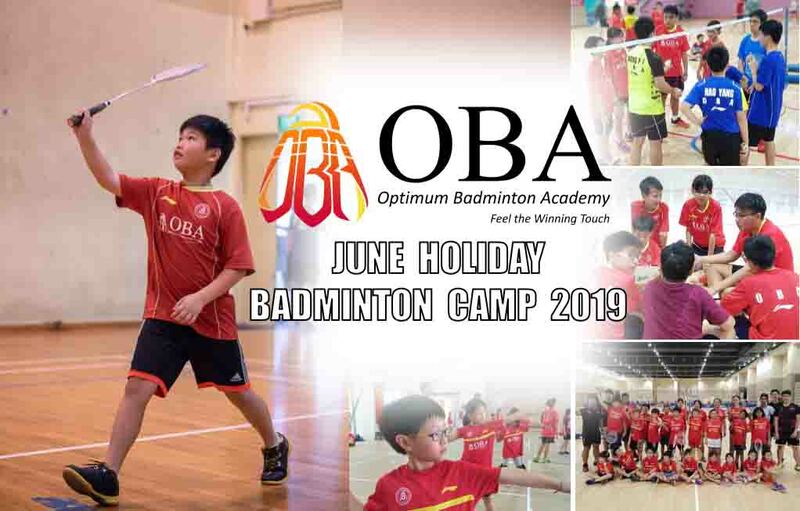 The June Holiday Camp is here again! Learn badminton Basic & Advance techniques in a fun and interactive way! There are a total of 3 fun-filled camps lined up for this amazing holiday. Location> Clementi and Toa Payoh. All the camps are catered to both Beginners (Learn to Play Programme) and Advanced (Play to compete) level players. The aim is to allow them to understand and lift their game to the next level, at the same time adding fun elements in trainings to build a strong interests towards the sports. Limited slots available, sign up today! *FREE OBA Training Jersey with every Sign-up! Beginner level (Learn to Play) - Suitable for one who just started off or totally new to the sports. They will learn how to execute basic control and strokes of the Badminton, at the same time understanding the rules of the game in order to establish a strong fundamental from there on. Advanced level (Play to Compete) - Recommended to one who has already develop some basics of the sports where they able to perform decently for strokes like Lob (hit from one end to another), Drop or Smash from the back court and Net (control shuttle at the front court) or Lift (send shuttle high from front to back court) from the front court. No makeup lesson or refundable for applicant's absent.